Best way to get online orders from your customers. Start in few minutes! Let your customers order directly from you instead of sending them to another site that lists your restaurant with all other competitor restaurants on same page and gets commission from all of your orders. 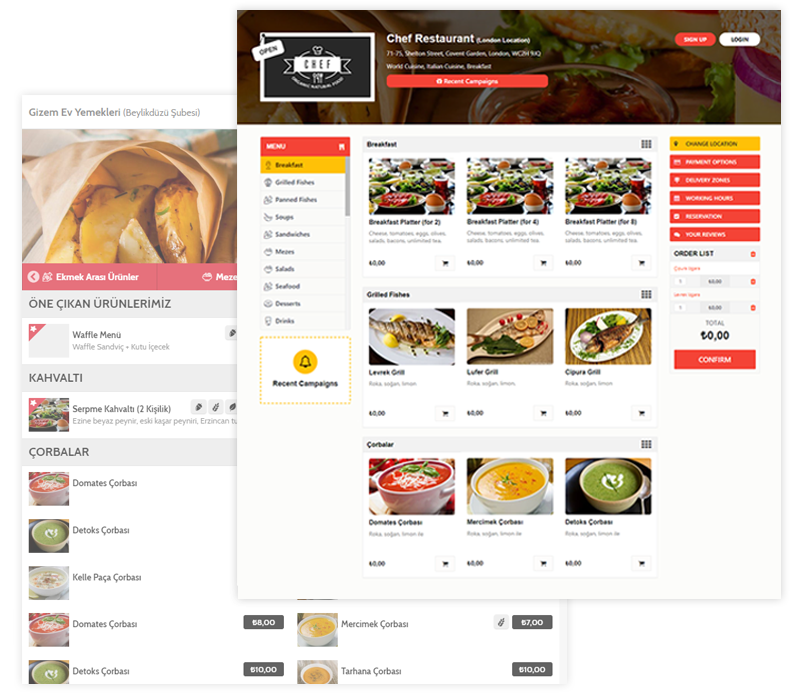 Our online ordering systems also provide you perfectly designed websites, mobile sites and mobile apps which you can easily update anytime you need. Receive all your online orders in one place with our order taking tools. When you receive a new order from your website or mobile apps, you get instant notification to confirm that order. Unlike any other competitors, we never charge you for an extra fee. 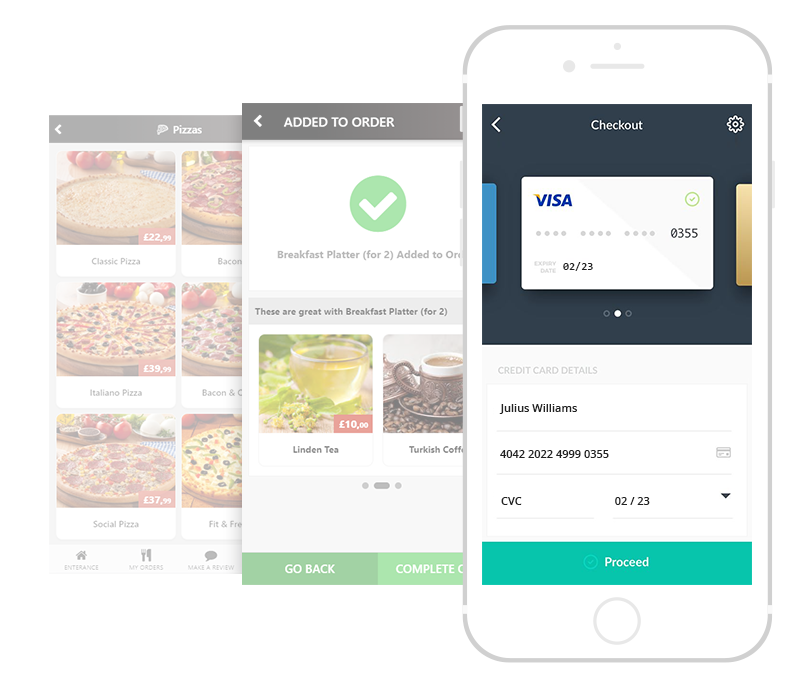 You can use your own payment gateway with your online ordering platforms. Get payments from your customers directly. 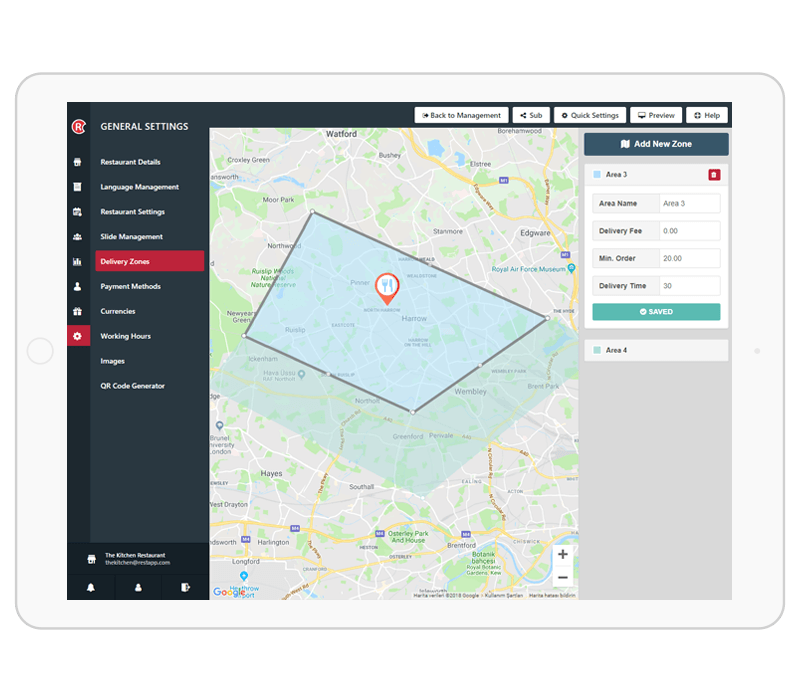 Define your Delivery Zones easy and precisely. Very simple to draw. You can easily define your delivery zones. Just open the map and draw your zones. Draw more than one zone and assign different minimum order amounts, delivery times and even delivery fees if you wish. 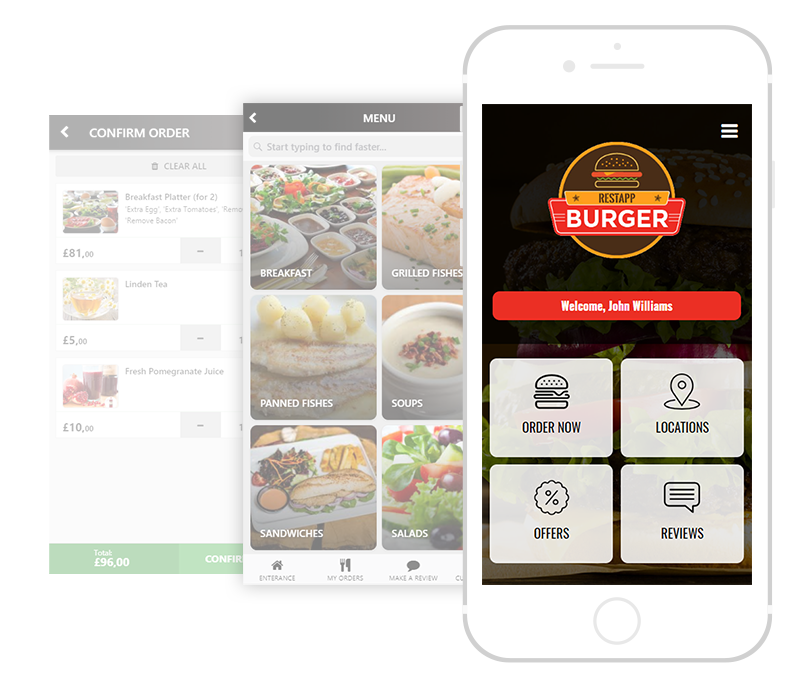 Want to see how RestApp online ordering system works? 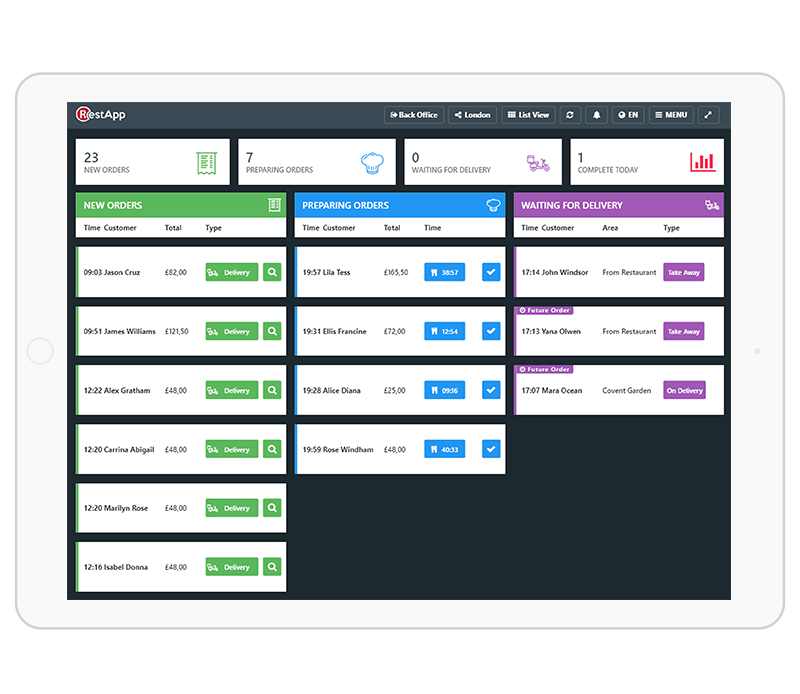 RestApp provides all features you need for growing your online business. Try our online ordering solutions with your restaurant for free and get your own ordering system.